A good laptop or a desktop is a must in our lives. For this purpose, processors matter a lot. Based on our work and our requirements, we can choose our required processor. Whenever we all buy a laptop, we have one thing in our mind, core i3, Core i5, and corei7. And when we talk about the generations there are many like 4th generations, 5th generations, 6th generations etc. Keeping the content very simple, I will tell you everything about it. First of all, let’s talk about the generations. Intel is the best and the most famous one. Intel launches the new generations of their processors every year. Generation means that the best techniques they are using for the manufacturing of their processors. Generations actually mean that how much that technique is best and short. A normal processor is having billions of little tungsten in it and many more. Intel tells every year that how much small their tungsten is. Small size indicates its fastness, efficiency, and less power consumption. The latest tungsten that Intel is using is of 14 nm. A few years back, it was 20 nm. Going back further it was 28 nm, 40nm, 100nm, and 150nm even. But the latest is smaller and the small one proves best and is the latest one too. We can say that the 4th and the 5th and above generations are the best and obviously there is no double in it. The latest generation is always the best. As it has less power consumption and also the best performance. Many people are much more confused about the generations and the types of the Intel processors. Both of them are different things but quite related to each other. People are much confused with their naming schemes. I know it’s difficult. Firstly, I also don’t have the idea for this. I searched and learned a lot about it and now I am a professional. I asked my friend working in a laptops company. He also gave me information about it. Finally, I am making this all very simple for my dear readers. When you go to the market to buy a laptop, you must have heard from the sellers that which processor you require. You might have heard the words core i3, i5 and i7 etc and you will be confused that which one to take. As buying the best laptop definitely depends upon the processor types and generations. So, core i3, i5 etc are the types of processors and they are different from the processor generation. Don’t mix these terms ever. So let me share with you all the types and generations. While buying a laptop, not only look at its types but also see the generations of the processors. I am also going to tell you that which type and generation will be the best for you. Depending upon your usage requirements I will guide you all about it. Because many of us also don’t know that which core processor will be best for us? So, keep reading further carefully. So, these all the types of the Intel processors. Intel Core i3 is the most basic processor. It is available in a Dual-core either you take it for the laptop or a desktop. It has hyperthreading enabled in it. It means that the operating system of your laptop will consider it a quad-core processor. Finally, by this, your laptop operating system will perform at its peak. You can see a lot of Core i3 models like 4220, 4130 etc. They are different models of core i3 processor. Their 1st digit indicates their generation. Like 4220 has 4th generation etc. They all have different clock speeds or the frequency in simple words. Like 2.1 GHz, 2.3 GHz, 2.5 GHz etc. Also, the memory is with every processor that is called a cache memory. It is usually very small. Like 2MB, 3 MB, 5 MB or 8MB etc. This memory increases as you take the latest version of the processor. More cache memory is always best and core i3 processor is having a normal cache memory that will be enough for you. Core i3 actually means that it is having 2 cores and OS will use it as a 4 core. In this type, turbo boost automatically increases the clock speed when in case, more power is required. Now, you will be thinking that when you will need an i3 processor. Let me tell you that if you do normal browsing. Or use a laptop for internet, MS word or excel or do such kinds of tasks and also you do the normal gaming. Then you don’t have to invest in Core i5 or i7, i3 will be more than enough for you in this case. While writing this article, my friends at whylaptops.com did their part and helped a lot. You will see two variants in core i5. In laptops, i5 is dual core and in desktop and big computers, i5 quad core is used. In laptop’s dual-core, hyperthreading is enabled but not in others. OS will consider the 2 core processor as a 4 core processor. It is better as compared to the i3 processor. It has more cache memory. Speed and performance are also better here. So you can use i5 if you are using a laptop for gaming purposes and also for the little bit of heavy tasking. Then Intel Core i5 will be the best for you. This is the best available processor in the consumer market now. You can see three variants. 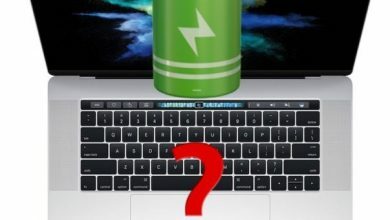 In laptops, it is Dual core in normal laptops or slim ultrabooks and Quad core too in the MacBook Pro and in other heavy laptops like Alienware etc. While in a desktop you will see the Quad core or Octa-core too. In i7 there is also the hyperthreading enabled by which the OS consider it as a double core processor. 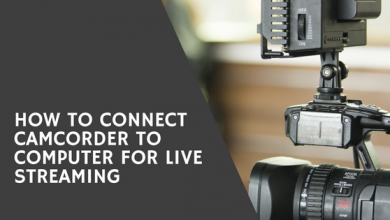 This will enable the laptop system to work more efficiently. In core i7, there is a much more enough cache memory, till 8 MB. So use Intel Core i7 if you do heavy work on the laptop. Like heavy tasking, using 3D graphics or ultra-high gaming etc. So, in this case, you should buy a Core i7 processor. Talking about the Intel processor generations list, they are continuously progressing in their work. The struggle is what that takes anyone to the peak level. Intel is struggling and keeping their things up to date. This is what that still they are the best and the most famous. So, here are their all of the generations. All details about these generations will be described to you here. This will make you able to buy a laptop with a processor of your own requirement. This Intel Processors Generations List contains all the details that will help you select the best laptop for you. 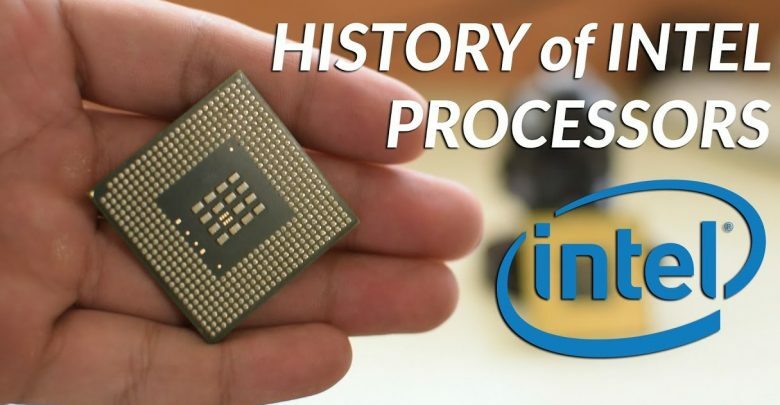 Intel’s first processor was 8080 that is also called as AT that is commonly followed by the 80186, 80286, 80386, 80486 and after that, the Pentium came. This is their 1st basic generation that definitely has some of the limitations. As I said a high generation is always the best and things improve by time. So, telling you the truth that it has some of the limitations like not so high efficiency and clock speed does not increase much. A 45 nm of the processor is also used in it. But still, the hyper-threading technology was introduced in it which was mainly left out in the core i3 processors. It has a 64 KB L1 cache, 256 KB L2 cache per core and 4-12 MB L3 cache which is shared in all of the processors. The 2nd generation of the Intel processor was introduced in 2011 and it replaced the previous one. It is a better technology as compared to the 1st generations. It is using the 32 nm processor in it. Also, the performance was more enhanced. It has the same cache like that of the 1st generation of the processors. Like 64 KB L1 cache, 256 KB L2 cache per core and 1-8 MB of the L3 cache. Its further enhancement was 10-15 MB cache. They are much faster than 1st and the 2nd generations of the processor. This model of the processor consumes 50 % of the less powerful. Actually, the first digit in the four number sequence name shows the generation of the processor and the next digits are the SKU numbers. This 4th generation processor is the latest one. It uses the 22nm processor. It has got 3-8% of improved generation from the previous generation. It is very supportive for the new sockets like LGA 1150, BGA 1364, LGA 2011-3 and the DDR4 technology, a full new cache design. These generation processors can also be easily used in ultra-portable devices because they consume very less power and keep the system run faster. The highest and best performance is the 5th generation. Intel 5th generation has the latest features in it. It has the extra memory and cache. It is also having the best and the fast performance than all other generations from 1 to 4. This processors generation is more advanced. It has a less nm processor used in it. The short the processor is the more is its efficiency and performance. If you are a heavy memory user or a player of heavy games that this is an upgraded 7th generation. It has all of the best and high-quality features, enhanced form all of the processors family. This generation processor will be much enough for you. If you are having this processor generation in your laptop then you can store an extra large collection of data for sure. This is such an advanced generation and is the king of all. Intel is almost ruling in the processor’s world and this is it is latest and most advanced and till the last generation. There is much news that Intel is going to introduce another latest processor generation and they have introduced it too. If the laptop is having this generation, then, I can say with pretty much surety that the laptop will be very expensive as such a new and high technology demands more from you. But you know that if you are an extremely heavy user even then 7th or the 8th generation will be pretty much enough for you. Now, I have explained enough to you. This article has definitely removed all the queries from your mind. As I have explained all the things, simply and completely. Another thing that you might be thinking about is the overclocking. This means that you can increase the speed of your processor according to your demand. Like if your processor is of 3.5 GHz and you are increasing to make it 3.8 GHz. Some of the people do not even know this thing. But let me tell you that you cannot increase the speed of each and every processor as this technique doesn’t apply to all processors. Intel has categorized their processors according to their own unique way. Those models of the processors, in which there is written a ‘’K’’ in their end, e.g 4790K. It means that you can do overclocking in them only if you have a compatible motherboard. But this doesn’t mean at all that you can increase a 2GHz processor to an 8 GHz. You can increase it in some points until a stable performance reach. But you will also need a good cooling system in your laptop for this purpose. Finally, my dear readers, whenever you buy a laptop, see the generations of the processor too along with its types. Because this will accordingly help you for the good battery life, less power consumption and the best performance. Always buy a laptop by making a decision about processor generation, cache memory, and all this stuff. If you have still any queries in your mind then you can ask me anytime in the comment section below, Good luck. Best Gaming Laptop Under 500 Dollars Reviews 2019. How to Clean Laptop Touch Screen? How to fix a cracked laptop screen without replacing it? 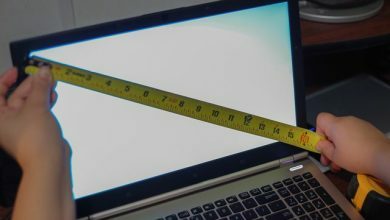 What Laptops Last the Longest? How to Remove Laptop Stickers Without damaging Them? How to Clean Laptop Keyboard Without Removing Keys? What is The Best Operating System For a Laptop? How to Improve Internet Connection for Online Gaming? How Much Storage Do I Need On My Laptop? 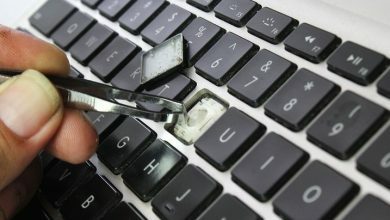 How to Fix a Broken Key On Your Laptop? Can You Take Laptops on Planes? 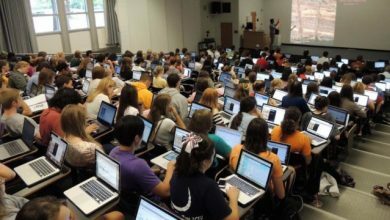 What Size Laptop for College? Which Ubuntu Version is Best for Laptops? What Size Laptop Do I Have?